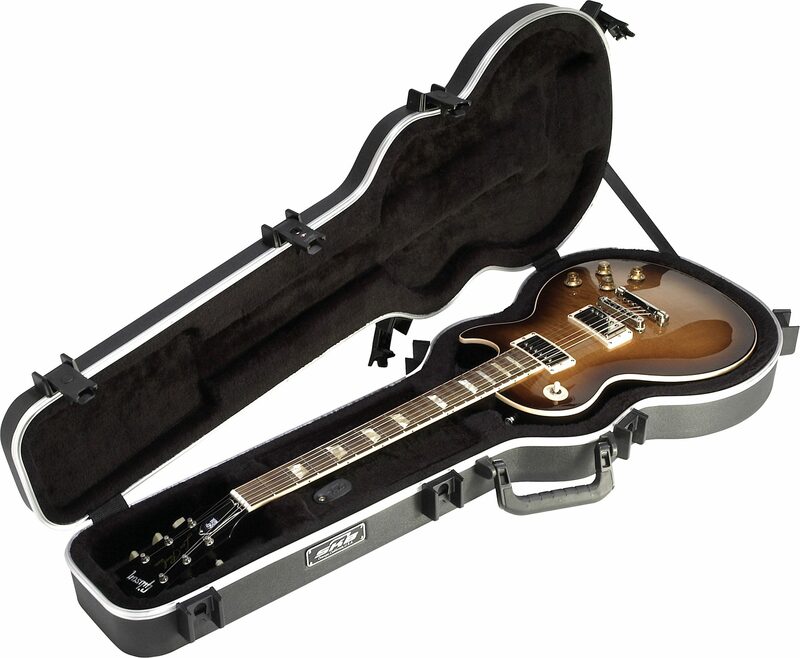 The entire line of SKB guitar cases is world-famous for unsurpassed protection and solid value. 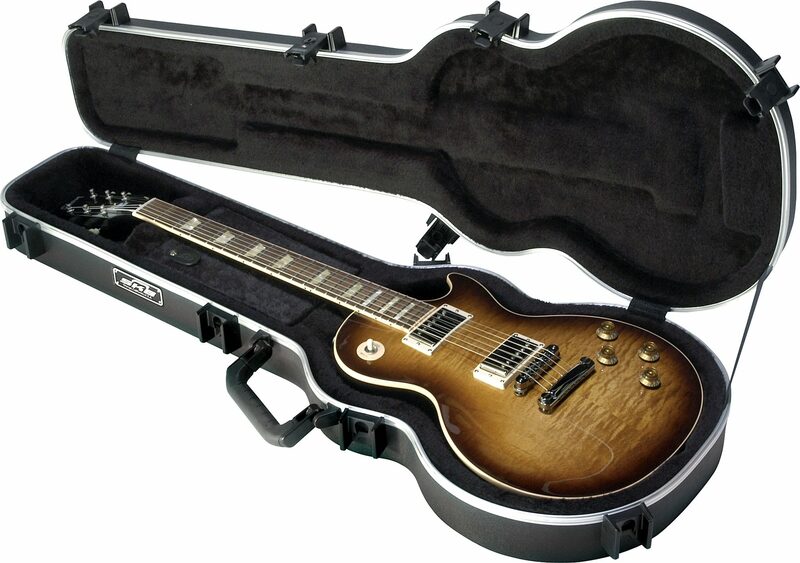 Virtually every major guitar manufacturer worldwide has selected SKB as their original equipment case supplier. SKB has been in business for over 20 years and has a total of 550 employees. Currently operating from nearly 300,000 square feet, they have facilities in Orange, California as well as on the border of Mexico. SKB's distribution base is broad, serving over 6,000 music stores in the United States and has presence in nearly 100 countries. Vertical integration is truly the picture inside SKB. This is a company that generates its own tooling, does as many fabrication functions as possible from the beginning to end, and even generates its own advertising and promotion, in addition to maintaining a website from within. SKB has 3 product areas in which they concentrate: musical instruments and pro audio, sports, and industrial cases. Dimensions (H x W x L): 3-1/2 x 13 x 39-1/2 in. "NOT JUST FOR LES PAULS"
Sound: Very quiet when opening and closing . Feature: I very much like the 5 trigger latches , the arched lid , the extruded aluminum closure and the very plush interior combined with the hard shell case makes this on a winner . Ease of Use: especially the latches . Quality: I'm proud to say this one was made in the USA and the quality is state of the art in instrument protection . Value: This case would sell like hot cakes at $99.00 but I gave the extra 20 knowing SKBs reputation . Manufacturer Support: I give the the bebefit of the doubt , as I have many SKS cases , many of which are protecting my pro sound equiptment and they all are holding up very well and I have never had to call SKB regarding any problems over the last 8 years . The Wow Factor: I have two of these case which I bought separately over time to protect a PRS singlecut and an 1977 Ibanez Artist AR-300 . After seeing the first one and knowing the Ibanez would fit in one , well it was a no brainer . I wanted another . Overall: I have 17 electric guitars , many with their original cases and I have to say when it comes to protecting guitars worth a few thousand dollars SKB Has what you need and I feel very confident in their craft . 3 of 4 people (75%) found this review helpful. Did you?